In the food processing industry, sweet making machine supplier in Kolkata plays a major role in the supply of commercial sweet making equipment to the commercial restaurant. 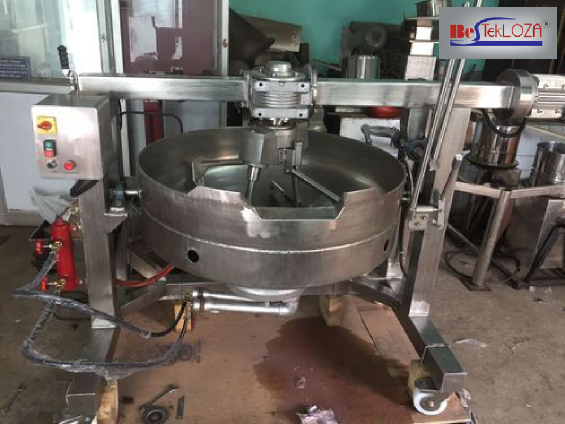 There are several types of sweet making equipment which is being supplied in the commercial restaurant. There are door vertical chiller freezers, four-door vertical chiller freezers, and other machines. For the customers, every commercial restaurant is making a great effort in making good sweets. The suppliers are also delivering high-class equipment for the restaurant with the best features. The equipment which is being supplied by suppliers provides high durability, low working operation cost and compact in size. While the hopper capacity 1 phase, the length of the machines are 7 ft. With 4.5 ft in height and 2.5ft in width, these machines are easy to use. You will find often find the equipment in the commercial sweet corner. While the output range varies from 3 grams to 40 grams, this equipment uses one control speed. The body of these machines is made stainless steel. There are several benefits of this equipment which are being denoted here. These machines can be operated by one person only. For water cleaning, the equipment is easy to open. The machine is compact in size and user-friendly at the same time. While the maintenance cost is low, these machines can be operated by non -technical persons also. Saving the economic costs, this equipment provides a low consumption of energy. To provide an attractive and creative appearance, the suppliers often offer refrigeration with this equipment with the assistance of CNC machines. With removable gaskets for effortless cleaning, adjustable shelves, display and wheel mounted for easy relocation, this equipment has the appeal for any commercial kitchen. The features of the four doors vertical freezer or chiller are very similar to the double door vertical chiller. But this machine has more doors than the former one. Display counter is mandatory for any sweet selling business. This product helps to display the favorite and appealing sweets and store these stuffs at the right serving temperature. This helps to attract the customers as well towards the delicacies. For running the sweet business, you need to choose the best machine supplier. You will be never in false position , if you choose “Bestekloza”.